You sneaky, forefronting, tradie-lovin’, load-hauling capitalist. Yes you, Toyota HiLux. 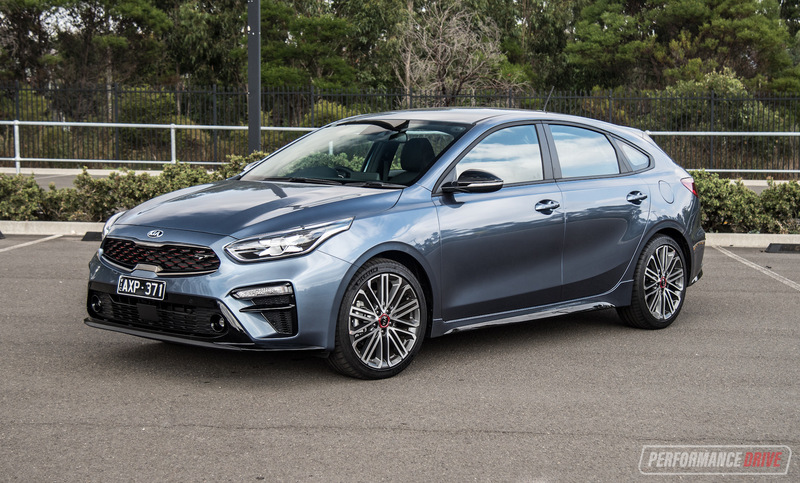 You’ve already taken the hearts of thousands of Aussie motorists. Now you come out dressed in irresistible TRD uniform. How many more sales do you want to claim? 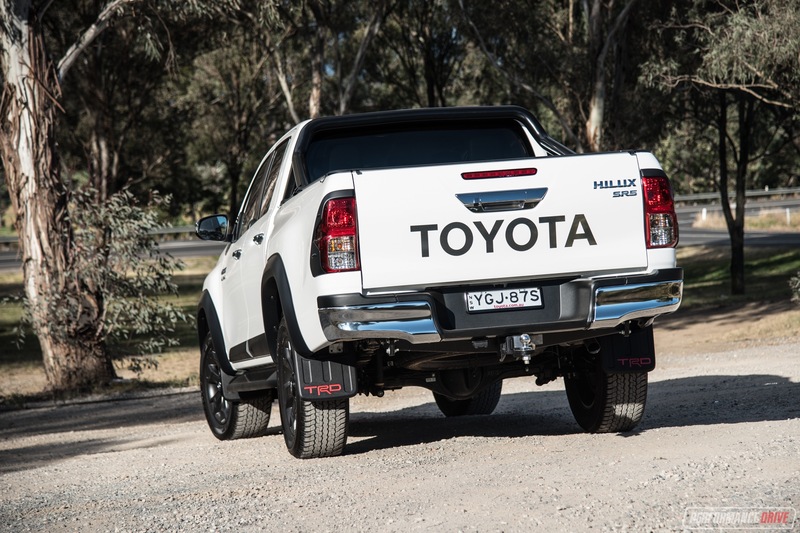 Toyota Australia doesn’t need help shifting HiLuxes from the showroom floor. 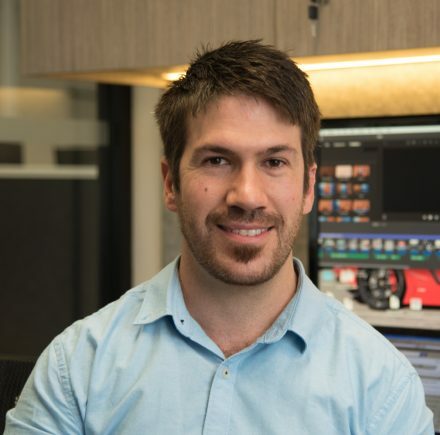 In fact, dealerships might as well instal self-service checkouts like they have in Woolworths and Coles to speed up the transaction process; they sell that quickly and easily. 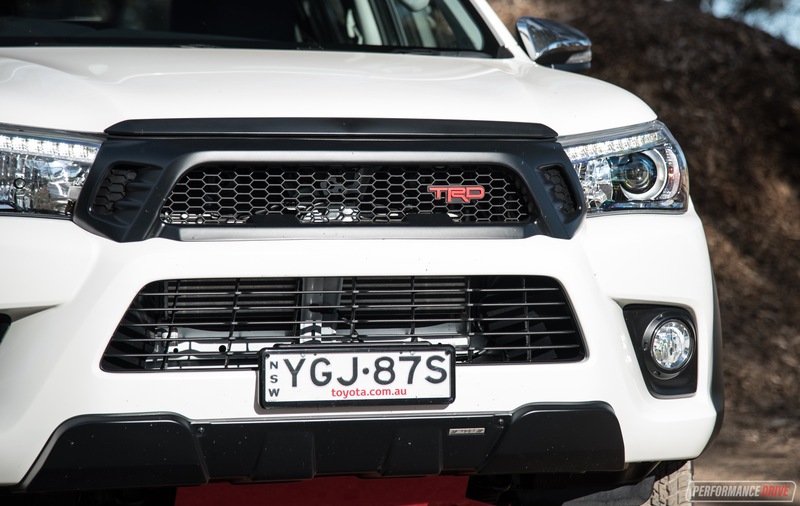 Which means the TRD package is essentially some automotive salt that rivals can use to rub into the sales wounds of their respective ute propositions. Before we go dressing Toyota’s cake of success with any other sugary discourse, we should point out this TRD pack is just a pack. 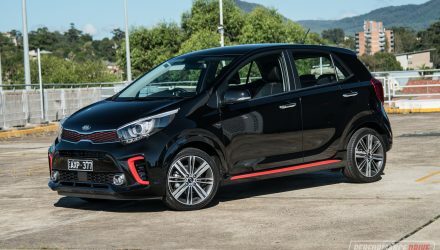 It’s not a fully fledged performance variant like the model from 2009. Boo-hoo. Who cares, we hear you say. If the HiLux is already regarded as the chosen one, the divine among the field, anything extra is just a bonus. Right? Let’s dive in and find out. 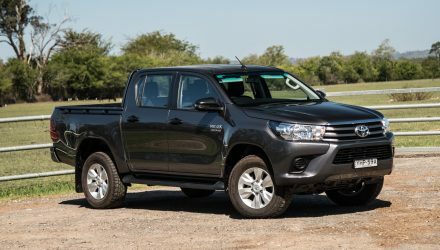 We think the new HiLux design has merged well with 2017. 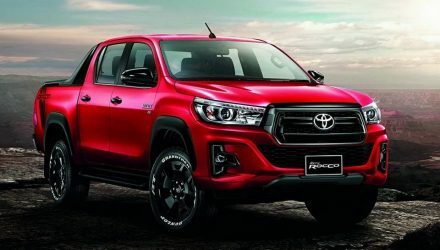 When it first hit the work site in 2015 a lot of buyers – especially traditional folk who’ve owned a HiLux since their granddad bought the very first one back in 1968 – may have been kerbed off course by the flashier, modern styling. Today, we think it looks good. Tough, even. 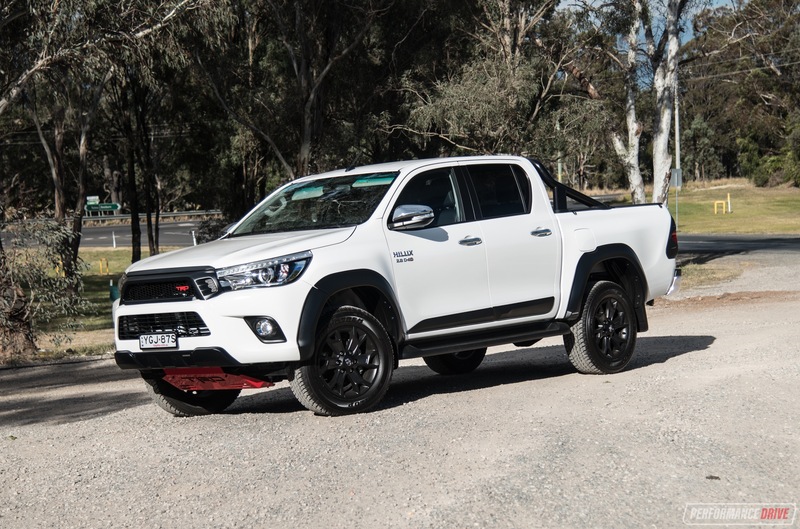 With the TRD package, which includes special… deep breath… mud guards, red front bash plate, black grille, black taillight protectors, black wheel arch flares, and bumper bar trims, the HiLux looks even stronger. You can get it in white or black only. 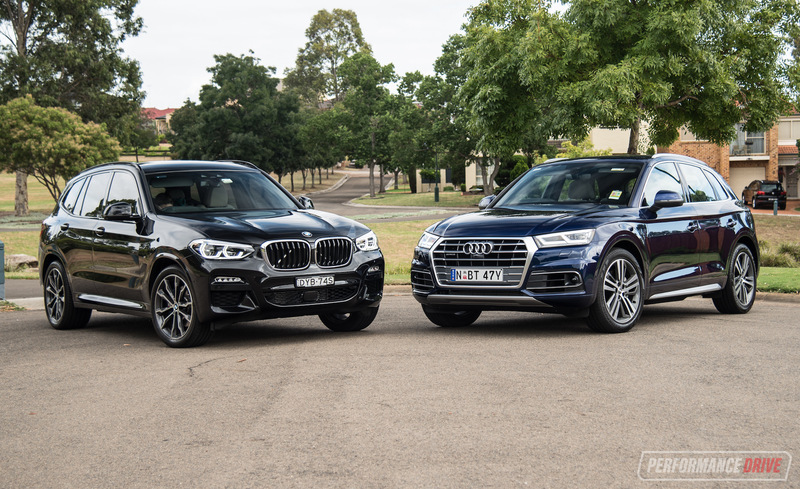 So you can either go for an all-black sinister theme or the fashionable white and black two-tone character. 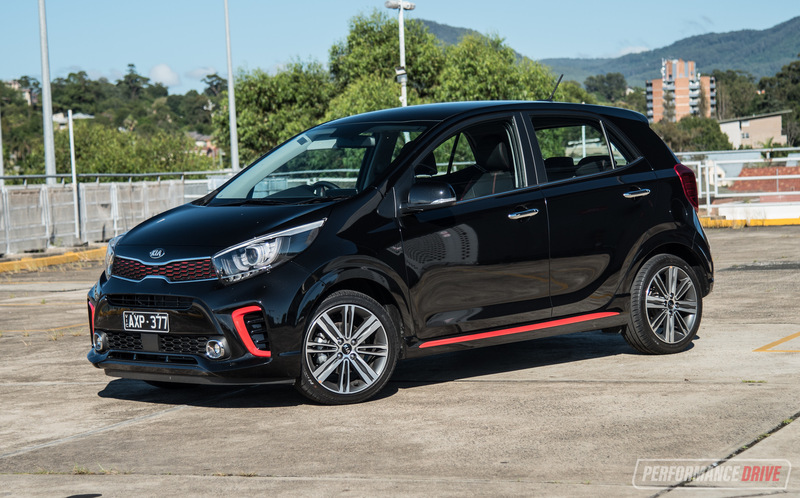 Splashes of red along with black-painted 18-inch alloy wheels top it off. All of this comes at a $4600 premium over the regular SR5 auto. Prices start at $58,990 for the manual, plus $2000 for the auto. The black version, strangely, commands an additional $550. 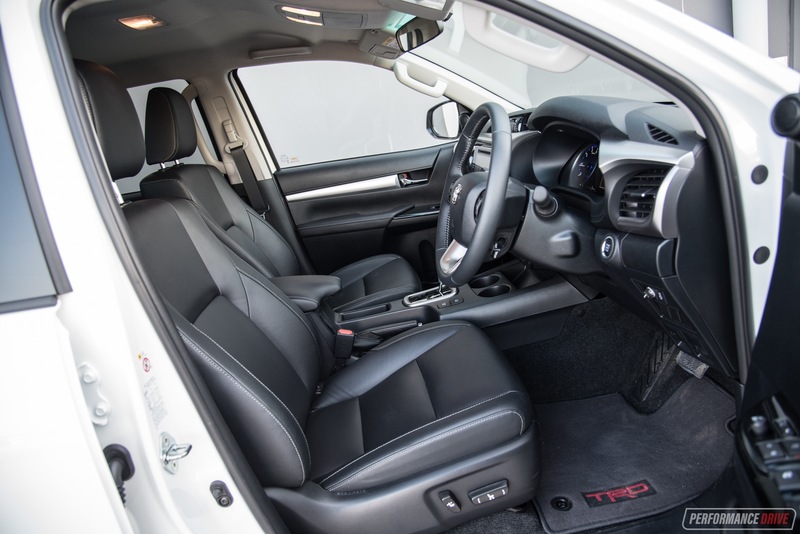 Toyota’s TRD department (Toyota Racing Development) hasn’t done anything with the interior. Actually, we’ll correct that. 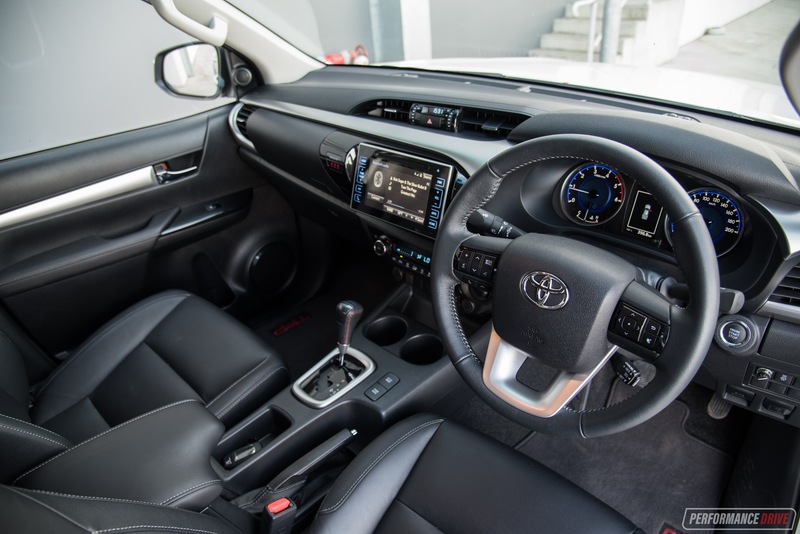 There’s red stitching and carbon-like trim for the gear lever, and some TRD floor mats. 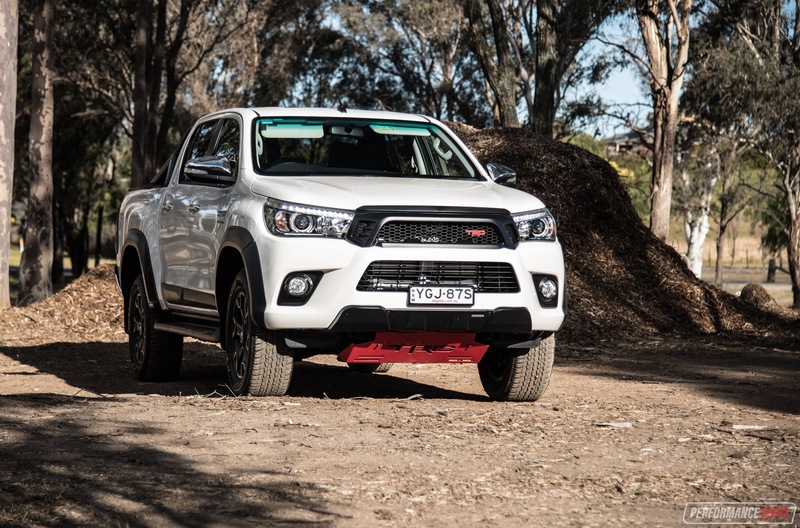 Since it is based on the top SR5 it already comes with everything that’s available for the HiLux. 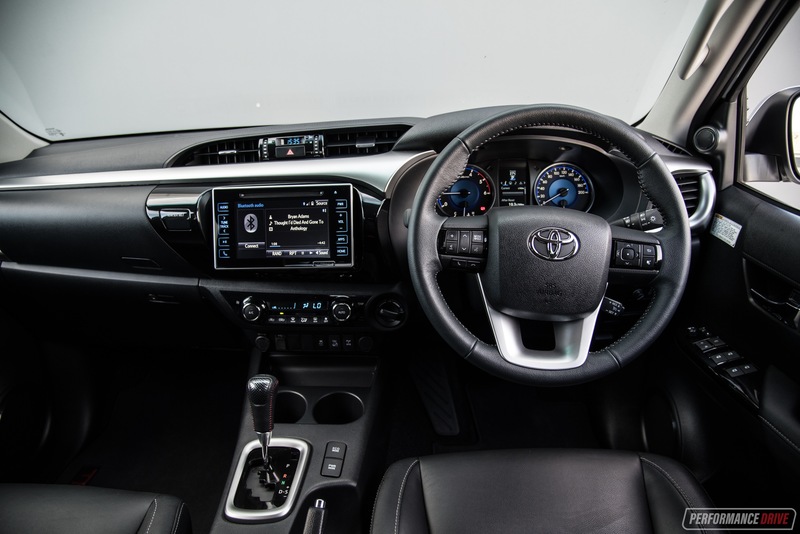 The seats are trimmed in hard-wearing leather while the dash gets Toyota’s latest touch-screen interface with sat-nav and a rear-view camera. 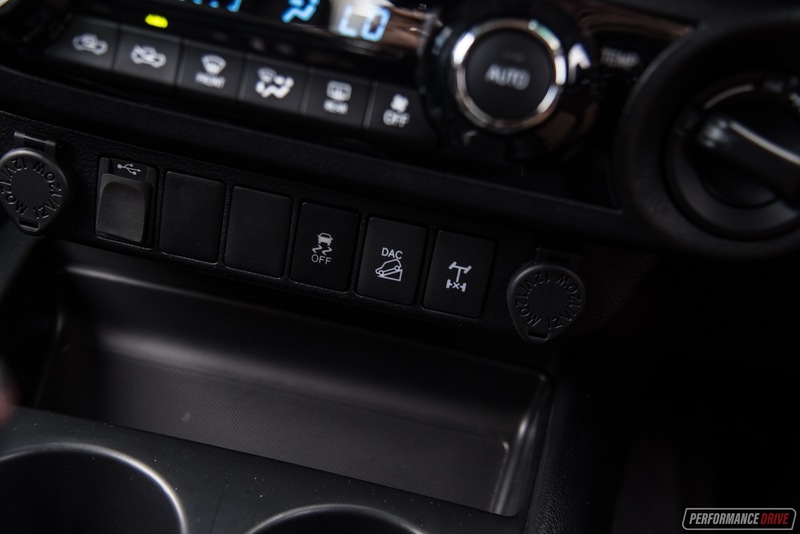 In our opinion the touch-screen is not the most advanced out there, lacking Apple CarPlay and Android Auto, but we do welcome Toyota’s decision to finally introduce a new screen and larger menu buttons, replacing the previous aftermarket-like system and its tiny buttons. 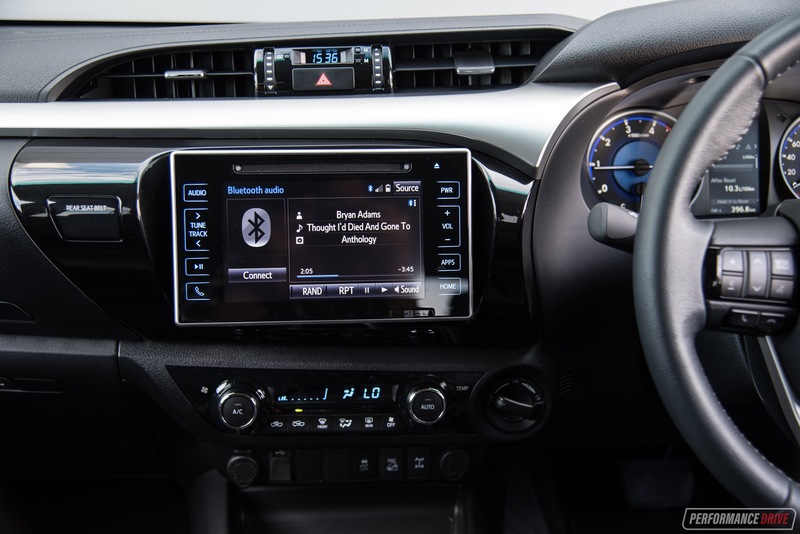 There are some in-built apps including an eco driving monitor and digital radio, with flush, jump-to buttons surrounding the main display making life easier. 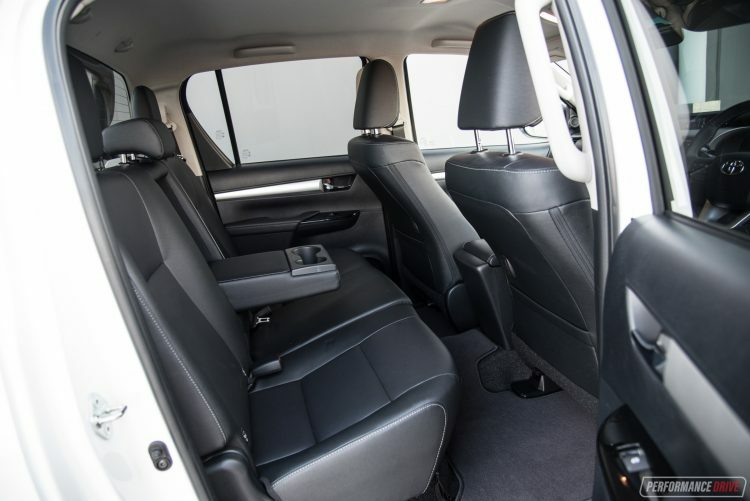 Comfort is pretty good for most passengers, with decent seat cushioning for the front seats and slightly firmer in the rear, while the new upright dash design does open up some space. Or at least the feeling of more space. We’re not a fan of the driving position. The limited adjustment for the steering column doesn’t help this. 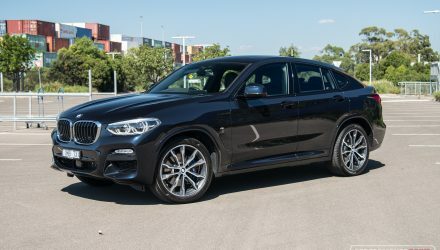 Headroom and legroom in the front are at the segment standards though, and width along the rear bench is slightly above the segment average. 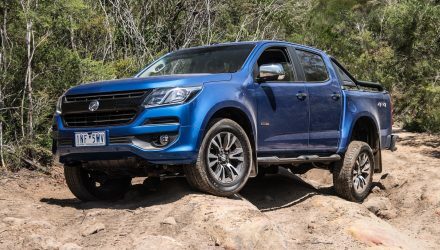 There are no air vents in the back, as is the case with most dual-cab utes (except Navara does), but there is a flip-down armrest and cupholders for some degree of cruising luxury. 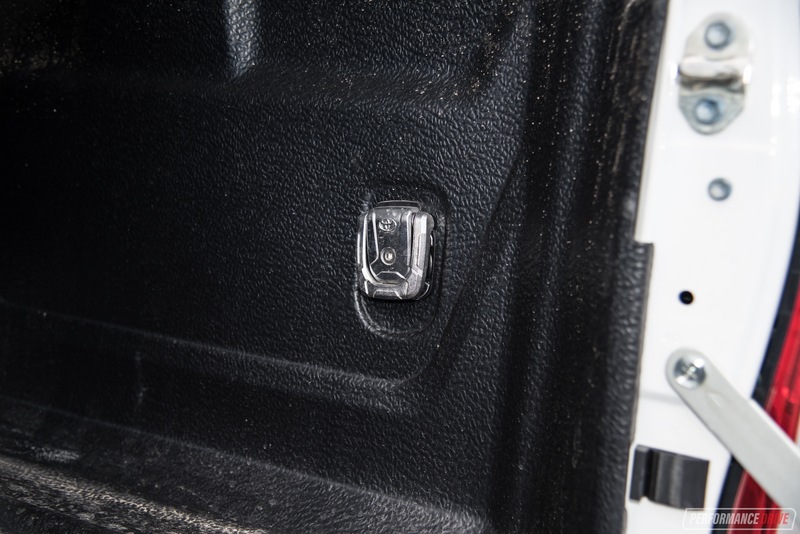 Toyota’s dual-cab tray floor measures 1569mm in length and 1645mm in width, which is 19mm and 79mm larger, respectively, than the old model. The side panel height is 481mm, up 20mm from the old model, while the loading height has dropped 4mm to 861mm. This means, thanks to Pythagoras’s theorem, there’s a diagonal length of 2273mm, which, for example, is more than enough for the average dirt bike (2017 Honda CRF450R: 2191mm length). 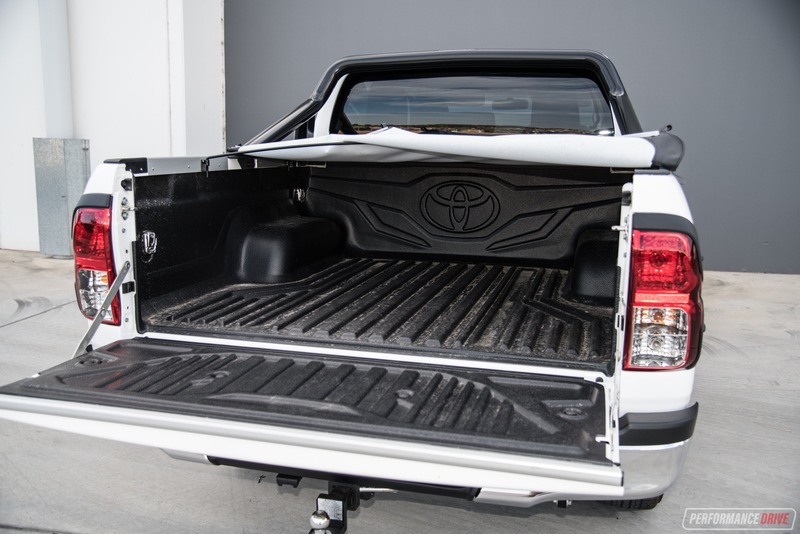 The dual-cab HiLux spans just over 5.3 metres in length which can make parking a little tricky, especially if you’re not used to driving these types of vehicles. We can’t really conclude if the HiLux is any more difficult to park than any of the other utes, but a decent level of visibility is supportive, with thin pillars doing little to intrude. 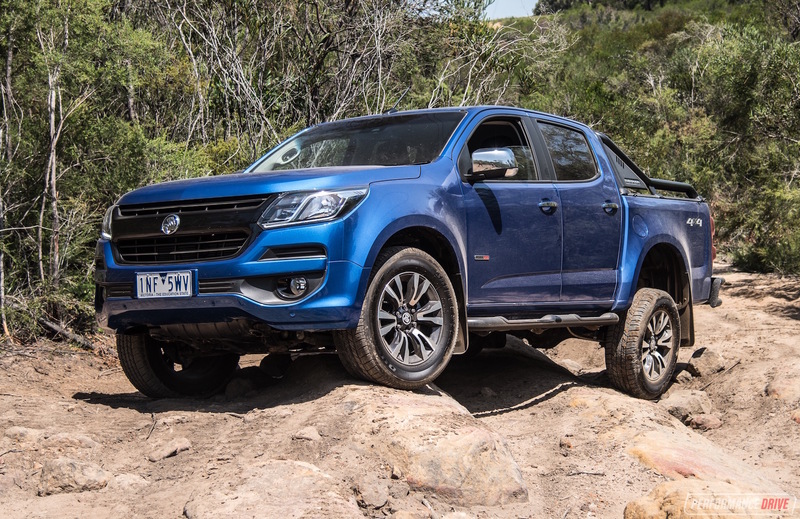 There are no awkward shapes or panels to look around either, like what you might find in some utes, like the Triton, for example. What we find below average is the ride quality. Of course, the tray (and rear leaf spring suspension) is designed to carry up to 925kg of load. But when you’re not carrying anything the spring tension feels as tight as a drum. It boings and jiggles over road corrugations causing noticeable disruption in the cabin, and that’s if you’re sitting in the front. In the back it can be quite uncomfortable. Again, this is if you’re not used to dual-cabs. 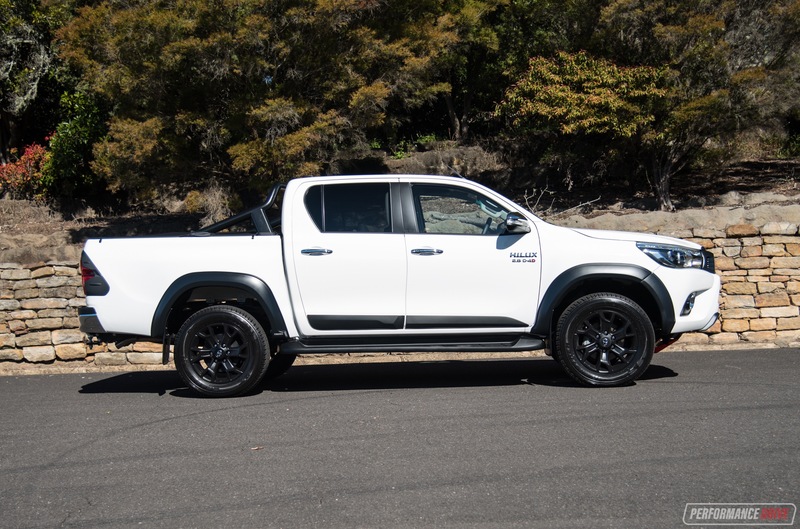 There are some models that offer a superior ride, such as the Navara ST-X which uses coil springs at the back, however, improving ride quality can seesaw and tarnish heavy-duty capability. Speaking of heavy duty, this is one area where the HiLux shines. 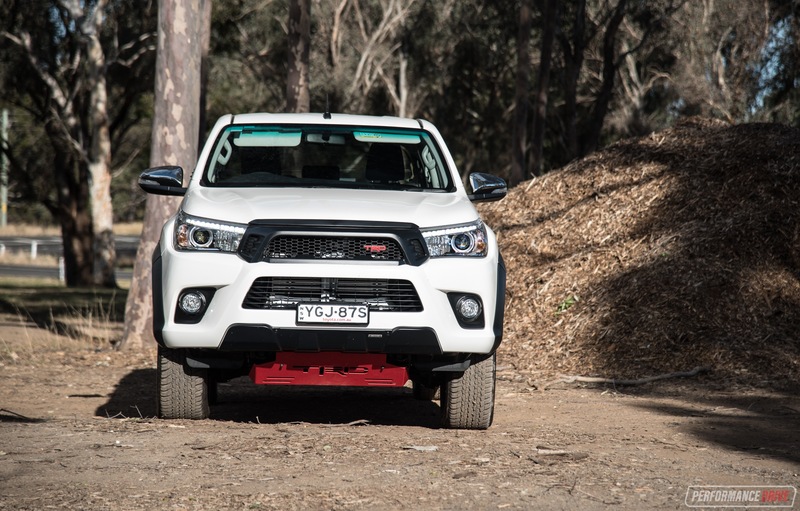 Toyota engineers, with help from Australian input, have made the new HiLux more capable on the work site and off the beaten track. 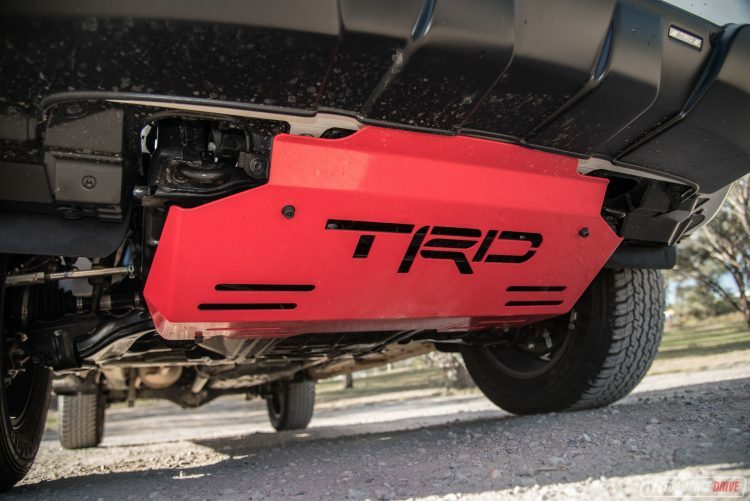 There’s now 279mm of ground clearance, 700m water wading depth, and 31 degrees approach and 26 degrees departure, with 40 per cent thicker and 30 per cent larger underbody protection plates and guards (not including that TRD plate). 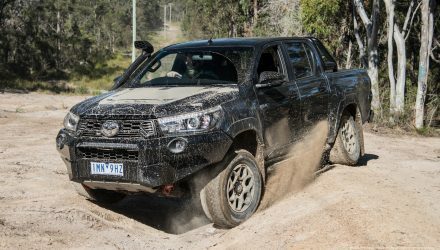 Rear wheel articulation capability is improved 20 per cent, and Toyota says the front axle capacity has been engineered to accommodate a bull bar and winch from the get-go. As we found out in our proper off-road HiLux test in 2015, there ain’t much that will stop the HiLux from making progress, no matter how tough the conditions are. 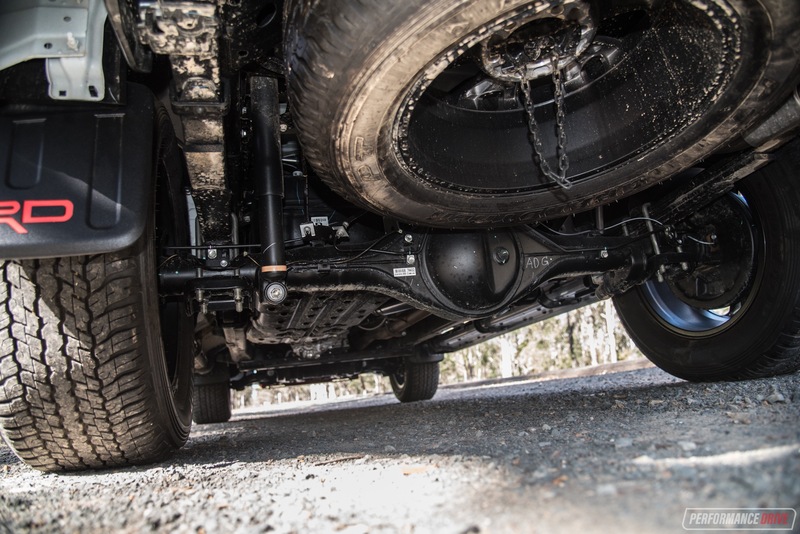 The standard rear differential lock does come in handy on very slippery terrains or when wheel articulation is frequent, while the superb ground clearance makes rock and boulder clambering a breeze. 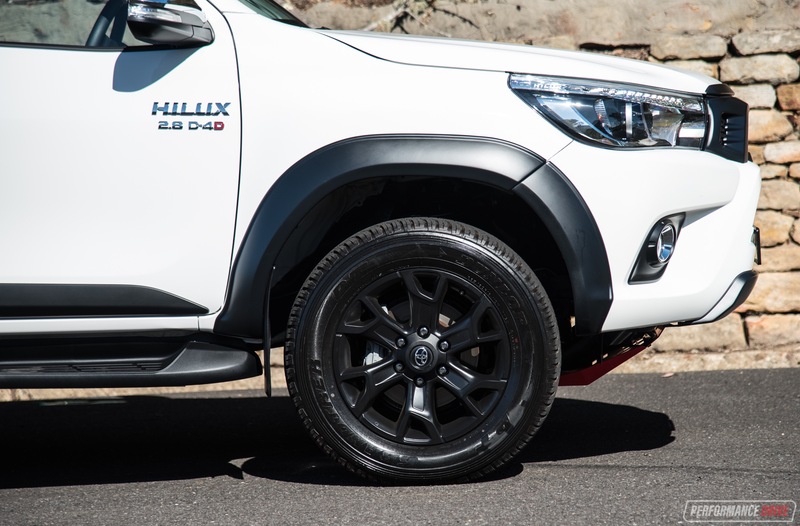 As a word of warning we do recommend swapping or removing the factory alloy-framed side steps as they tend to bend very easily – get some rock sliders if you’re serious enough about going bush. Around town the HiLux is pretty much like a car to drive, except for the size as mentioned. The steering is relatively light and even the engine feels playful and free to rev. In other words, it doesn’t feel like you’re driving a truck, like in, say, the Ford Ranger. In fact, we forgot just how smooth and quiet this new 2.8 engine is. 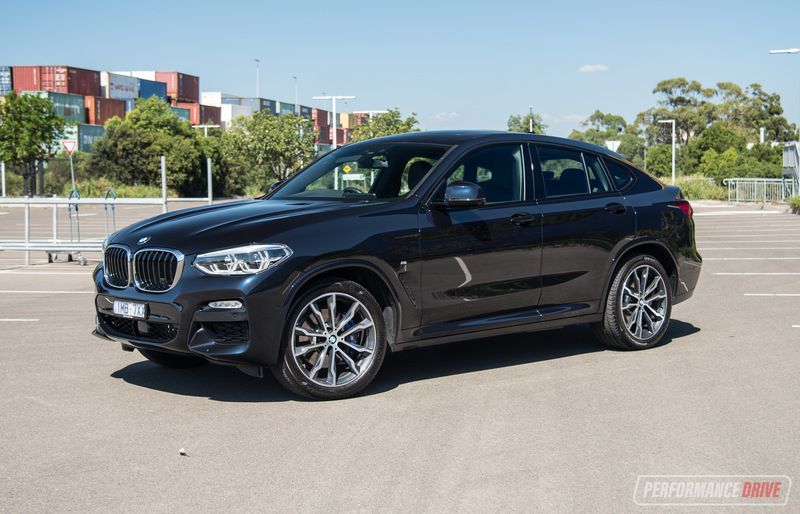 It purrs along the freeway registering low revs thanks to the well-geared six-speed auto, with excellent cabin insulation blocking out unwanted exterior noise. 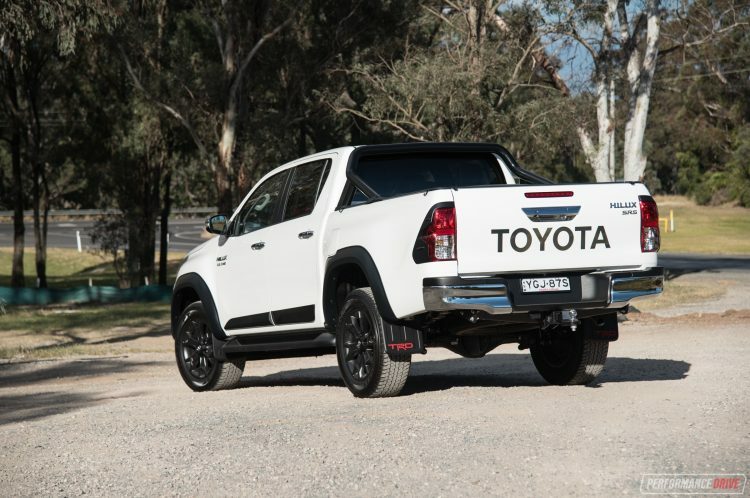 It’s difficult to call it refined but for the ute segment that’s how we’d sum up the powertrain character. 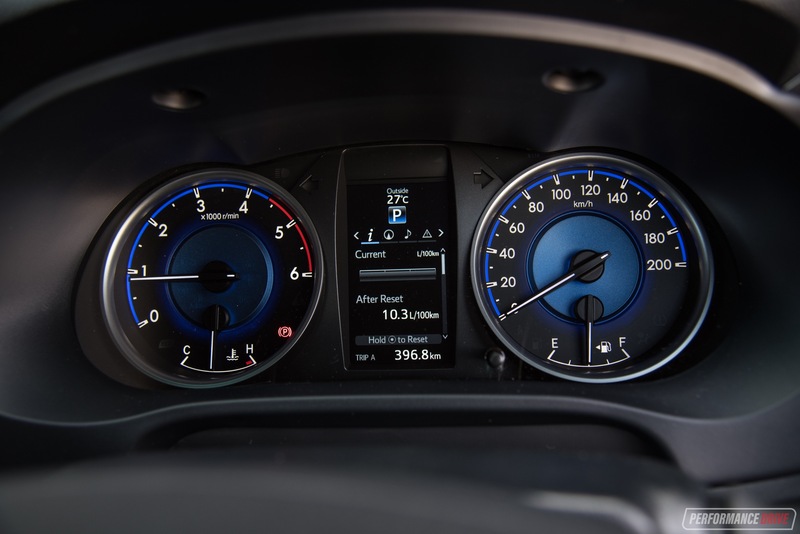 It’s also fuel efficient, with an official rate of 8.5L/100km not far off our tested average of 9.3L/100km. As we said at the beginning, the HiLux doesn’t need any help to win buyers’ hearts. 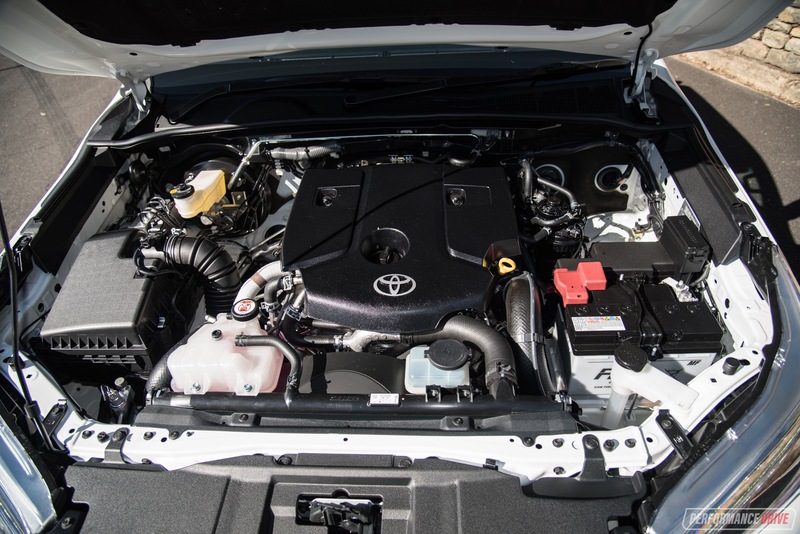 With proven and constantly evolving heritage, impeccable Toyota reliability, and now more refined powertain and more comfortable cabin broadening its appeal to a wider range of the market, it’s no wonder it is the best-seller in the class. 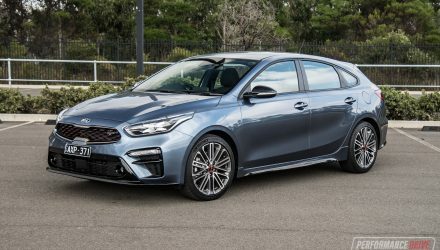 It doesn’t push any specific benchmark in any area, except perhaps reliability, but the above-average score for all areas makes it very appealing overall. Garnishing this with the TRD pack only makes it more attractive. It’s sporty looks are going to magnet younger buyers, and the added exclusivity should help with resale. 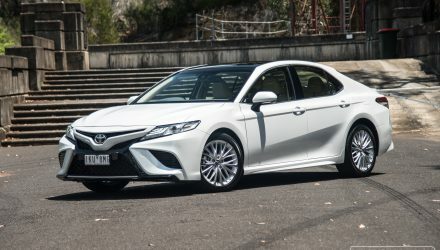 Is this worth the $4600 premium over the equivalent SR5 auto? Does it really matter? 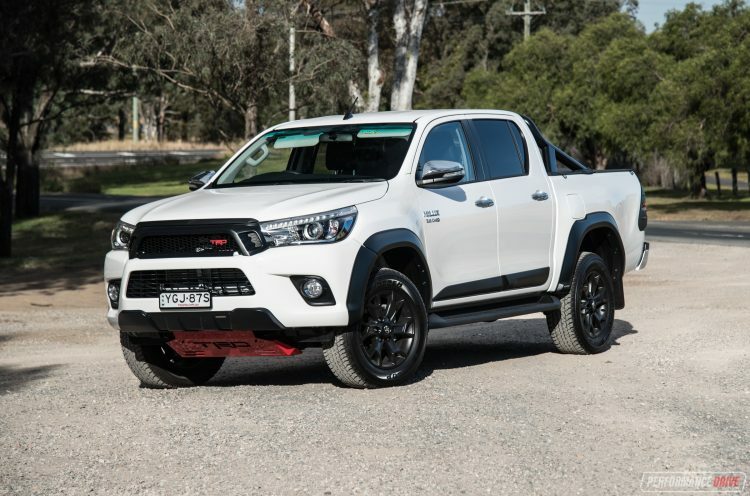 We’re sure punters are storming into Toyota dealers right now to buy one anyway.